DLR, and those who work with them and for them, are rightly proud to be associated with such a successful and rapidly expanding railway. 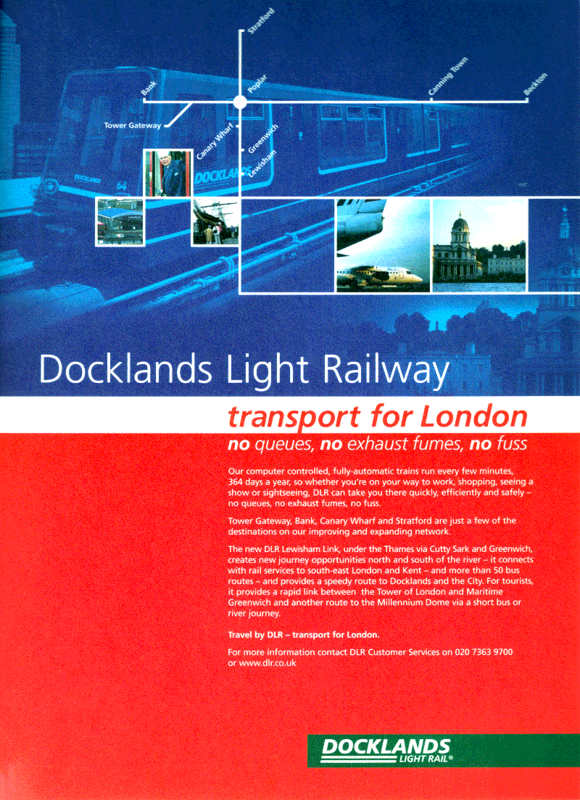 Here are some posters which show some of the corporate pride that shines out from DLR and some of their contractors. Clicking on the rather smallish images below will take you to larger versions. 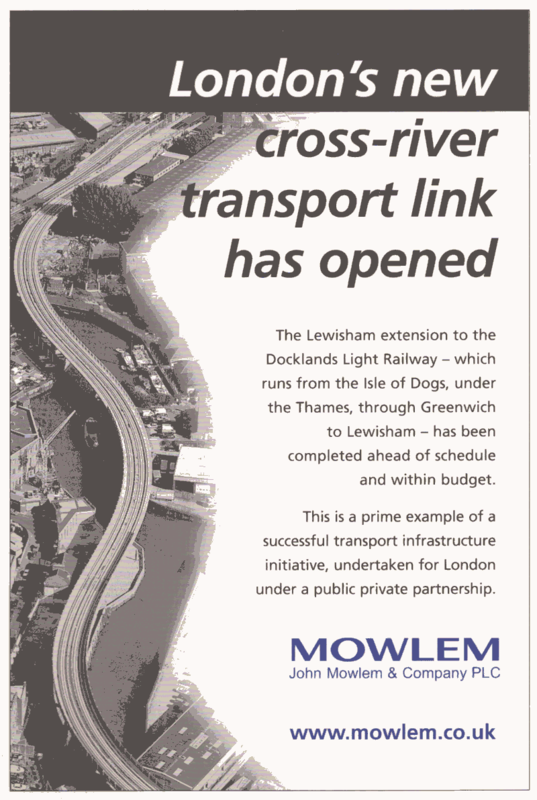 Left: Shortly before the Lewisham Extension opened in 1999, DLR proudly announced themselves as being central to the role of being "transport for London" - note that this was BEFORE control of DLR Limited passed to the then newly-created Transport for London organisation headed up by the Greater London Authority. Right: Contractors were keen to link themselves to the kudos of working on such a prestigious project. 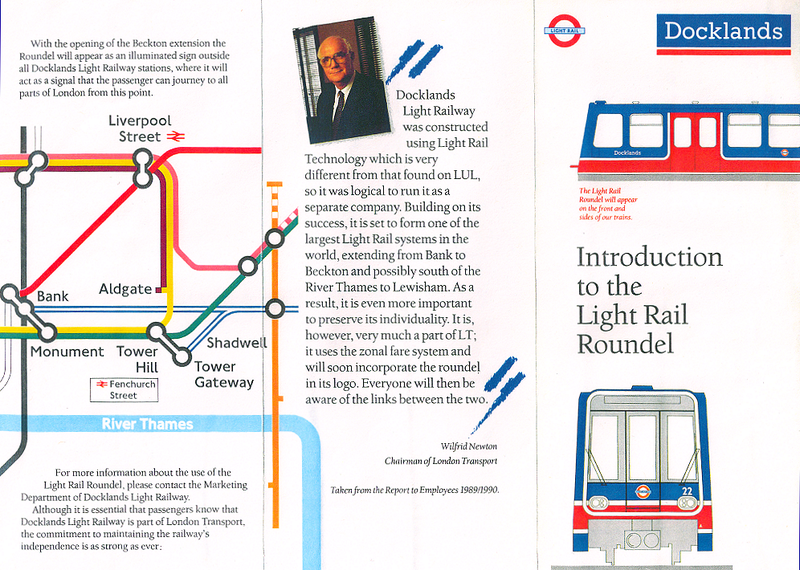 The introduction of a turquoise roundel as the symbol of DLR in 2003 was not the first time an attempt had been made to try and bring their image more into line with that of London Underground and buses. 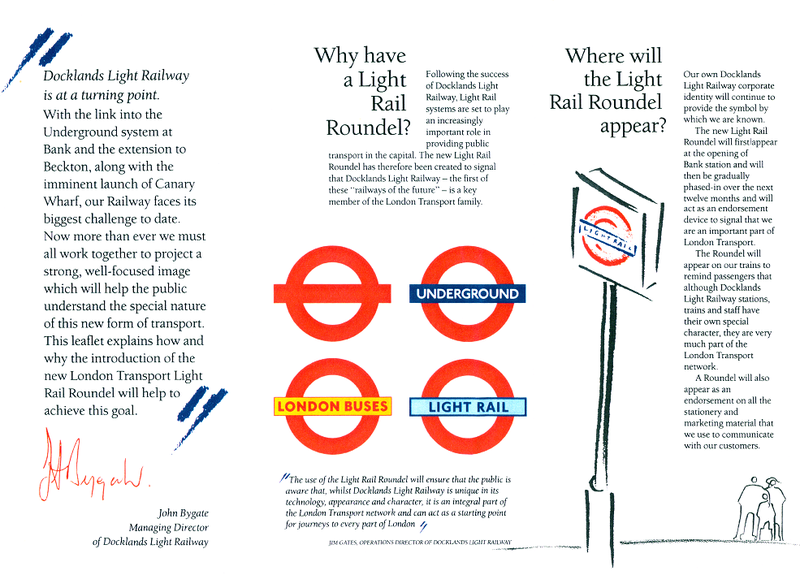 In 1991 it was planned to roll out a LIGHT RAIL roundel not just on the DLR, but on other future systems. Well, somebody has to collect this stuff! Some members of DLR staff take enough interest to keep copies of some things, but by their own admission, anything over and above their personal interest tends to get thrown out after a while or simply sent out to anybody who writes off for copies of particular leaflets (or via their website). Once stocks run out - that&apos;s it! Even the LT Museum don&apos;t really have an awful lot of DLR&apos;s press history.